Stephanie Town heads the group of 23 UTS students fundraising for LAM research. 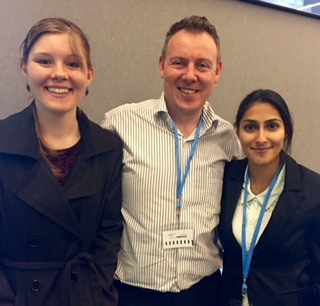 Stephanie and fellow volunteer, Tooba Zaidi with Australia’s chief LAM researcher, A/Prof Brian Oliver. The enthusiastic group has raised over $1600 in 2015 and is planning activities to raise more funds in the coming year.